Following decades of protracted conflicts throughout Myanmar, the success and sustainability of the country’s transition to peace rests upon expanding the inclusivity of peace practices at the local level. Strengthened dialogue at all levels presents clear opportunities to deepen the engagement of people’s voices in shaping their future and finding solutions to the conflicts they face – particularly for those that did not actively participate in the conflict but have suffered the most, including marginalised populations such as women, youth, minorities and displaced people. Through the People’s Dialogue Initiative (PDI), Listening and Peace History activities, CPCS aims to create platforms for voices have remained at the margins of peace processes to express their concerns and opinions and improve awareness of the current transitional processes at the community level. 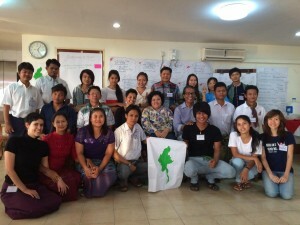 By creating and expanding interactive, safe and inclusive spaces for sharing information and perspectives, engagement and learning, these initiatives enable community level visions and strategies for the future to be articulated and heard as societies continue to undergo significant socio-political transformations.